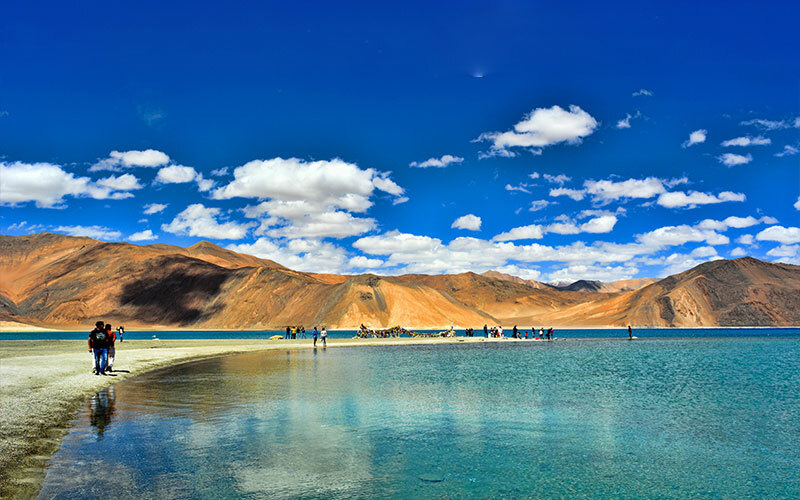 Situated in the state of Jammu & Kashmir, Leh is the capital city of Ladakh and a uniquely beautiful tourist destination. On the other hand, Manali is a picturesque hill station in the state of Himachal Pradesh. Both these travel destinations are distinct in their own way while attracting hordes of travellers from almost every corner of the globe. An excellent way of experiencing the best of both Manali and Leh is to embark on a jeep safari. The jeep safari will keep you enchanted all along the way as you pass through eye-catching valleys, meadows, passes etc. 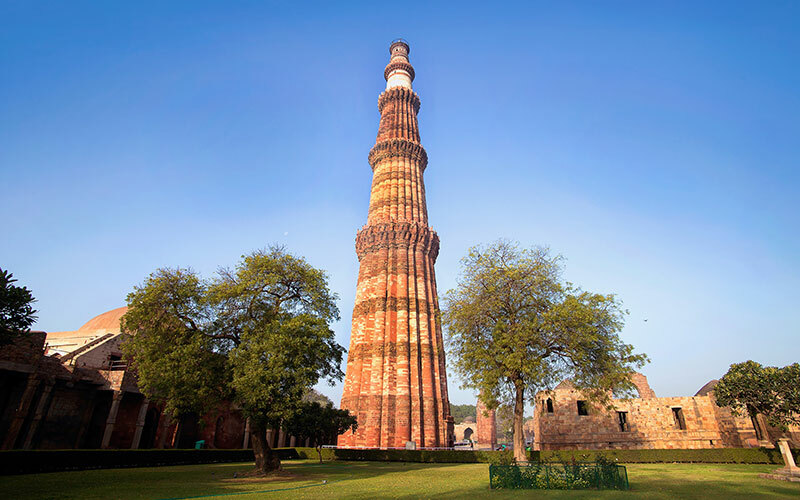 After your arrival in India, set out on a sightseeing tour of Old and New Delhi. 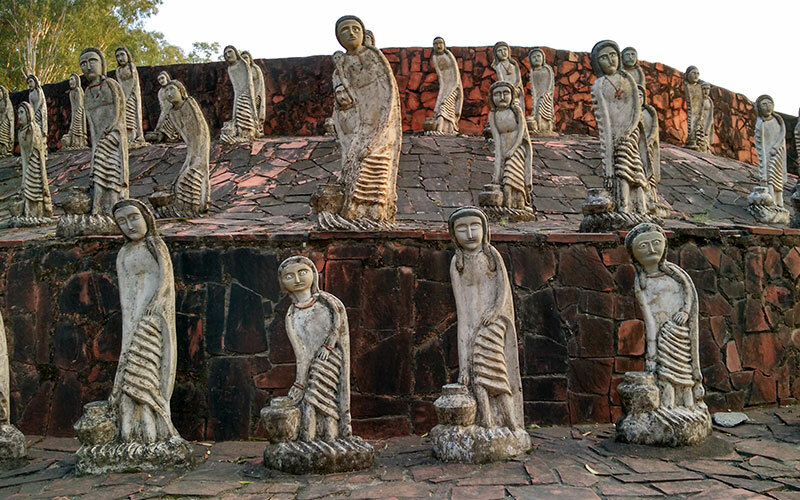 Your next halt is Chandigarh where you'll get an opportunity to visit rock gardens, buzzing restaurants and local markets. Next, head for Manali while visiting picturesque hill stations of Mandi and Kullu en route. Explore the many tourist attractions in Manali and enjoy a half-day trekking tour, packed with engaging scenes. Next, drive towards the Ladakh Valley while viewing the Rohtang Pass, lying at an altitude of 13,000 ft. The Rohtang Pass, which remains covered in snow throughout the year, is a world-famous tourist attraction. Later, depart for Sarchu which is located in Leh. Enjoy your drive along the Leh-Manali highway. 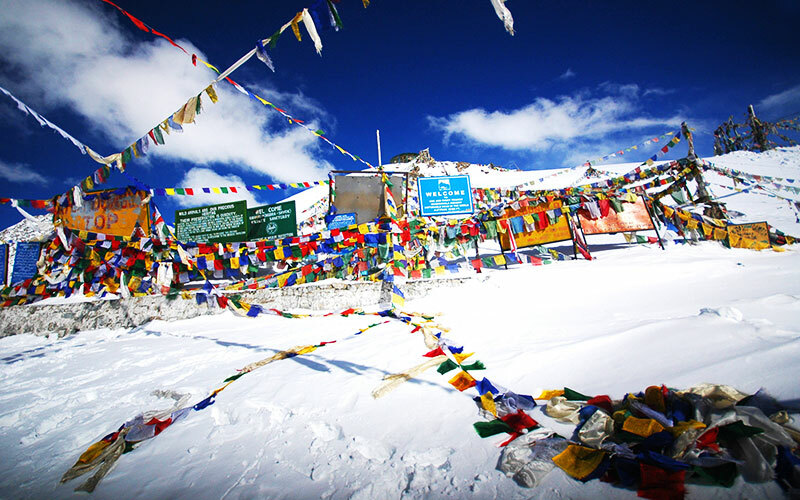 Before finally setting your foot on Leh's soil, get to see the Tanglang-la, world's second highest motorable road. When in Leh, enjoy a full-day sightseeing tour which includes visits to such popular attractions as the Thiksey Monastery, Shey Palace, Hemis Monastery etc. Also, drive to the Khardungala Pass which is world's highest motorable road. Soak up unbelievable views from this place and gather some of the most interesting souvenirs before travelling back to Delhi for your onward journey. Morning after breakfast depart for the guided sightseeing tour of Old and New Delhi covering Red Fort, Jama Masjid, Mahatma Gandhi memorial, Lotus temple, Qutub Minar & Humayun’s Tomb.. Also drive past the India Gate and the Rashtrapati Bhawan (President’s Palace). In evening enjoy sound & light show at the Red fort. Overnight at Delhi. Remarks : - A day tour to Agra is recommended and can be added on demand to visit and experience the immortal Love story. Early morning drive to Chandigarh and en-route keep your eyes open to take full delight of Indian highways. On arrival assistance at hotel for the check in formalities. Afternoon free for leisure. Evening visit the famous rock gardens and the local markets called evening retreat of Chandigarh, where you can find the local roadside restaurants buzzing with youngsters. Night stay at the hotel in Chandigarh. Full Enjoy Life in Manali Hills!!! Morning after breakfast, start your journey to Manali. En-route visit beautiful hill stations of Mandi and Kullu. This drive will be the starting point of your journeys to hills. In between you will come across some breathtaking scenic beauties. Arrive Manali and transferred to hotel. Overnight at Manali. Today after breakfast you will depart for a half day trekking tour of Manali which will include your sightseeing for the place. You will trek for about 4 hours in which you will cover Hadimba Temple, Vashisht Bath, Jagat Sukh and Old Manali. Afternoon return to hotel. Later in the afternoon visit to river side where you can do some adventure sports. Evening a walk through the Mall road known for its souvenirs. Overnight at Manali. Early morning start your drive to Jispa a picturesque station which needs a definite stop before heading towards the Ladakh Valley. En-route visit Rohtang Pass (13000 ft.) complete filed with snow all around the year. Also stop at Keylong in between. On arrival at Jispa check into hotel and overnight at Jispa. 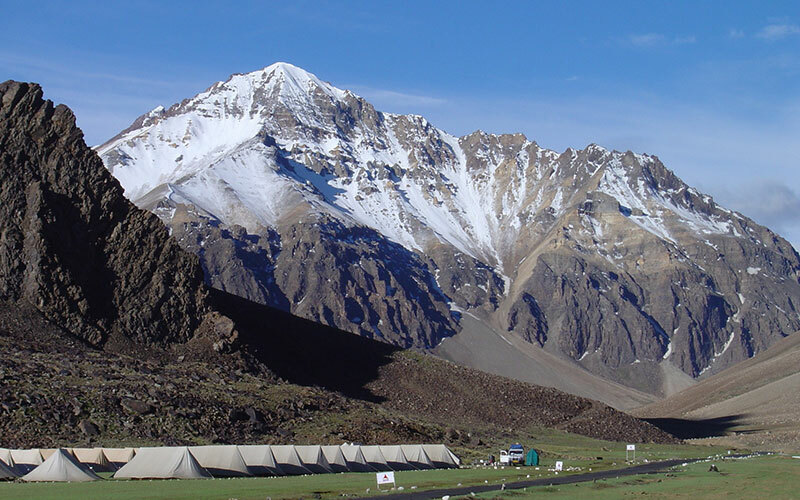 Today after breakfast depart for Sarchu on Leh – Manali Highway on the border of Jammu and Kashmir and Himachal Pradesh. You will also drive past by Baralacha-la pass (4892 Mts.) to reach Sarchu. Today again be a mere spectator of gods such a beautiful creation and enjoy the nature. Overnight at Sarchu Camp. Morning buffet breakfast at Camp and depart for Leh. Today you will experience a long day of travel but an exciting one. Today experience the second highest motorable road in the world i.e. Tanglang –la. After such an adventurous drive you will reach Leh in the evening. Check in to hotel and overnight at Leh. Today after breakfast we will visit the most famous Monastery and Gompas of Leh. Visit Thiksey Monastery for the praying ceremony and also experience the Shey palace before heading towards one of the biggest monastery of Leh i.e. Hemis Monastery. On the route back to Leh visit Matho monastery as claimed to be the oldest in that region. Afternoon visit Leh Mosque, Leh Gompa and Shankar Gompa. Overnight at Hotel in Leh. Morning you will drive to Khardungala pass (5600 mts), which is the world’s highest motorable road. Enjoy the incredible view of the Leh valley from the top of the world; buy souvenirs from the only shop available run by the Indian Military and the souvenirs available here are available no where in the world. After this stoppage return back to Hotel. Evening free for leisure. Overnight at Hotel in Leh. This morning depart for airport to board on your flight to Delhi. Optional tours: A trip to Taj Mahal in the beginning or end of the tour AND/OR a trip to Srinagar, Gulmarg, Pahalgam and other places in Kashmir can be arranged with this tour. Kindly contact our travel experts for such requirements. Taj Mahal remains closed on Fridays.